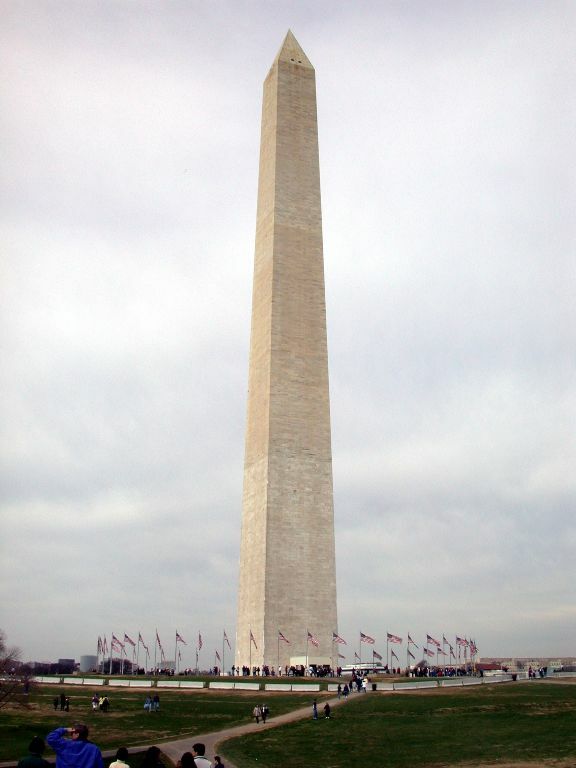 One detail that is never mentioned is that in Washington , D.C. there can never be a building of greater height than the Washington Monument ..
From atop this magnificent granite and marble structure, visitors may take in the beautiful panoramic view of the city with its division into four major segments. 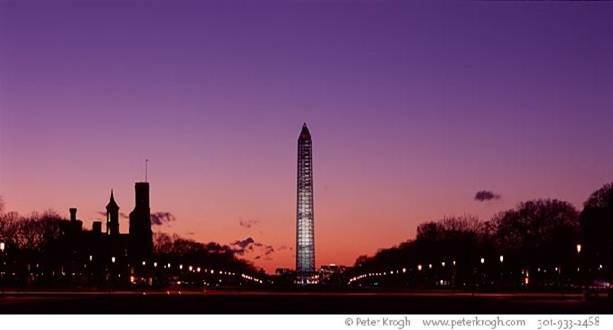 From that vantage point, one can also easily see the original plan of the designer, Pierre Charles l'Enfant ....a perfect cross imposed upon the landscape, with the White House to the north. 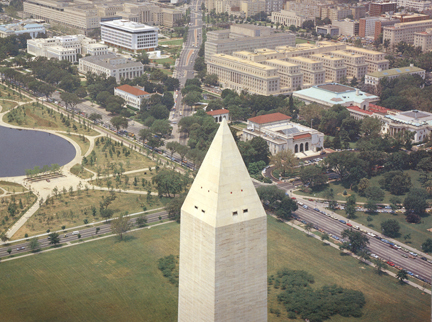 The Jefferson Memorial is to the south, the Capitol to the east and the Lincoln Memorial to the west. Praise be to God! Within the monument itself are 898 steps and 50 landings.. As one climbs the steps and pauses at the landings the memorial stones share a message. 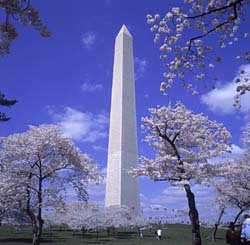 I am awed by Washington 's prayer for America . Have you ever read it? Well, now is your unique opportunity, so read on! It is hoped you will send this to every child you know; to every sister, brother, father, mother or friend. They will not find offense, because you have given them a lesson in history that they probably never learned in school. With that, be not ashamed, or afraid, but have pity on those who will never see this because someone failed to send it on..